The purpose of TAMU is . 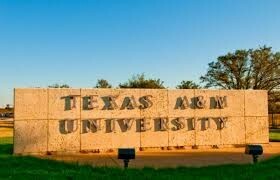 . .
Texas A&M University is dedicated to . . .
the discovery, development, communication, and application of knowledge in a wide range of academic and professional fields. The core values of TAMU Aggies are . . . Excellence, Integrity, Leadership, Loyalty, Respect & Selfless Service. The TAMU Aggie Code of Honor is . 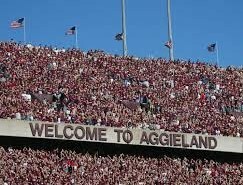 . .
An Aggie does not lie, cheat or steal or tolerate those who do. Pictures in slider are from www.TAMU.edu and www.Bing.com. In case you are wondering why Dr. A. Bruce Clark, PhD is no longer attending Reveille North, it is because Phillip had a bunch of his “yes men” block the entrance during the meeting immediately after the Second Birthday and immediately after the below letter was sent on July 3, 2018. Based on cordial conversations with one individual on December 20, 2018 regarding differences in opinions a change was made to the below. As for Dr. Clark and his family they support the new top minister in town, Joel Osteen, as well as other pastors who have consistently paid their property and income taxes on time, never had credible evidence of plagiarism leveled against them in reputable newspapers, never had claims posted in sources like Wikipedia of an earned doctorate with no proof of a dissertation, etc. As for Sam Williams, Dr. Clark deeply misses him and provided him with a gift certificate at the last Reveille Club meeting he attended and is glad that Freddie Wong provided him with the brand new Smart 4K, ROKU, High Definition TV that Dr. Clark provided as a door prize on that day and which Freddie could have kept for his own use, after his name was drawn. Freddie is a highly ethical, generous man whose warnings to Dr. Clark helped to keep him from certain compromises and sins, for which Dr. Clark, a flawed human but destined for increased blessings from his Lord and Savior, Jesus Christ, is eternally grateful. First and foremost, I thank you, Barry, Paul, Staunch Supporter of Rev. Ed Young & Sam for your service. As you know I was the first to honor your contributions when building the www.ReveilleNorthHouston.org site by having your names in the History section. Subsequently, I noticed that other Aggie groups have taken from what God had me do to honor you. Barry, Paul, Staunch Supporter of Rev. Ed Young & Sam, as you can clearly see, I did not put the Reveille North information on Phillip’s www.SeeTheBeacon.com site. Nor did I put contact buttons on every page going to the www.SeeTheBeacon.com site despite pressures to do each of those. Instead, as you observed I paid for a relevant domain and (with the help of my Lord and Savior, Jesus Christ) did everything ethical in my power to get a high ranking for the site when one Googles “Woodlands Aggies.” Additionally, Barry, Paul, Staunch Supporter of Rev. Ed Young & Sam, as you can tell by reading the introduction, I put SeeTheBeacon.com first rather than PremierBusinessExperts.com, despite my background (consisting of four graduate degrees and top-tier experience) arguably being much stronger than that of any other person in the Reveille North Houston Organization. Barry, Paul, Staunch Supporter of Rev. Ed Young & Sam, because Phillip was griping to me about how much money he had lost on Reveille North, during the meeting before Father’s Day, I passed an envelope putting $100 of my own money into it (and others putting their own money into it as well) to help reimburse Phillip for his personal expenses during the stays at the first two restaurants when he personally paid for the name tags, since I believe he should be reimbursed for those personal expenses. Yet, this said, I have seen MAJOR financial abuses at groups of similar size when one individual has full control. These abuses have included an individual having a fund-raising campaign for “needy-inner-city-youth” and the money going to pay the college tuition of that group leader’s son. Technically, the son of that group’s leader was a “needy-inner-city-youth,” but I (and especially those who gave much larger sums of money) felt very deceived, when the truth came to the light, as it always does. Moreover, I have seen where leaderships of similar size groups have “skimmed money” for luxury vacations, personal vehicles, etc. Yet, the more that I have asked about what is being done to have an organization that first and foremost supports TAMU and that will prevent such abuses, the more Phillip Wilkerson and especially Adam Koch have strived to silence me and get me removed from the group. As for the website, can even one person show where I have posted a negative comment on it about any person? The answer is “No.” Can even one person point to a money funnel on it to PremierBusinessExperts.com? The answer is “No.” In fact, to the contrary those who know me, know that on my letterhead I use “A. Bruce Clark, Ph.D.” However, to not have my name first, on the membership list I, instead of using “A. Bruce Clark, Ph.D.” used “Alan Bruce (A. Bruce) Clark, Ph.D.” As for Adam, who is presently the treasurer, I have nothing against him personally and would consider recommending him if I see a need for a commercial insurance agent on his side of town. However, it has not been fun being defamed, or having individuals trying to silence my desires for the efforts of the group to be to provide money to TAMU above being (1) an arm of the Woodlands Chamber of Commerce and (2) a means of greasing the palms of one or a few individuals. Barry, Paul, Staunch Supporter of Rev. Ed Young & Sam, if you attended in recent months you will notice that on your credit card statements “See the Beacon” is listed. In the future, what is there to prevent abuses such as having a fund drive for a non-TAMU (or even TAMU) cause with thousands of dollars collected but the official report being only a few hundred dollars? PS Barry, Paul, Staunch Supporter of Rev. Ed Young & Sam, realizing that you each have great wisdom, I look forward to hearing from you. As for Dr. Clark he is grateful to have excellent bosses and work for a company with honest bookkeeping and policies to prevent retaliation…. Similarly, if he can use his God-given abilities to develop training programs, build robust statistical systems or do any of the types of work presented on the www.PremierBusinessExperts.com website he welcomes the opportunities to do so, since unless the Lord tarries he (as an individual whose work has appeared in FORTUNE magazine and the HOUSTON CHRONICLE, who along with George H. W. Bush authored sections of the book HISTORIC HOUSTON and who has a 14-page CV) has MUCH to offer for decades to come. Meanwhile, if you check the announcements, you will see that Dr. Clark posted the announcement sent to him by Chancellor Sharp’s office on August 27, 2018. And as for the following introduction that was on this website, until Labor Day 2018, while Dr. Clark (who despite his many imperfections has finished reading the entire Protestant Version of the Bible this year as in every year since age 20) wishes that he could stand behind it, he unfortunately no longer can. Just as Dr. Clark will not be intimidated by others who desire him harm rather than good, he realizes that His Lord and Savior Jesus Christ is much bigger than those who desire his harm and that even if Dr. Clark is killed by those who have stolen from him they cannot touch his soul nor can they undo the generational revenge that the God of Abraham, Isaac and Jacob has been taking and will take on Dr. Clark’s behalf. Gig ‘em and above all PRAISE THE LORD FOR HE IS GOOD!!! As an individual with two degrees from our venerated Texas A&M University (TAMU) and as the developer of this website, I would like to praise Phillip Wilkerson (BS Industrial Engineering, 1991), who founded the Reveille North Houston Organization, as an offshoot of the Reveille Club meetings on Thursday mornings in the Houston Galleria Area. As Phillip explains it, he found himself “in transition” when the company that he had dedicated his life to for “eighteen years” experienced a “downturn in some of its core businesses.” However, because his “focus” had been in terms of that corporation, he discovered himself lacking in terms of his network, which is why he began attending Reveille Club meetings. After Phillip learned about the successes of newly-formed, Houston-based, Aggie-owned companies, in an enlightening session held by TAMU’s Dr. Richard Lester honoring them, he was inspired to start his See the Beacon, Personalized Management Solutions, Business. Yet, it was also at the Reveille Club meetings that Phillip learned about many Reveille Club members, who lived in or near The Woodlands, Texas, and who were attending very few meetings, due to the drive-times and their busy schedules. Thus, he started the Reveille North Houston Organization, as the Fall 2016 “Start of School” approached. By its eighth month, the Reveille North Houston Organization had exceeded 250 different attendees, and it now has a weekly attendance that often numbers over fifty! For more on Phillip’s background and his business you are encouraged to visit http://www.SeeTheBeacon.com, his LinkedIn page, or better yet meet him in person by showing up at the breakfast gatherings held in The Woodlands on virtually all Fridays, except for major holidays. For details on the location, time and costs associated with the breakfast meetings, as well as other activities and ways in which you can give back to our beloved TAMU, you are invited to visit the various pages on this website. Gig ’em. P.S. The Reveille North Houston Organization is not solely for The Woodlands Aggies, since the regular attendees have included not just The Woodlands Aggies, but also Aldine Aggies, Atascocita Aggies, Bellaire Aggies, Bunker Hills Aggies, Conroe Aggies, Cypress Aggies, Hedwig Village Aggies, Humble Aggies, Jersey Village Aggies, Katy Aggies, Kingwood Aggies, Klein Aggies, Lake Houston Aggies, Magnolia Aggies, Missouri City Aggies, Oak Ridge North Aggies, Pinehurst Aggies, Porter Aggies, Shenandoah Aggies, Spring, TX Aggies, Sugar Land Aggies and Tomball Aggies. Similarly, the Reveille North Houston Organization is not merely for Harris County Aggies nor is it only for Montgomery County Aggies. Besides Harris County Aggies and Montgomery County Aggies, the Reveille North Houston Organization has had multiple visits from Austin County Aggies, Brazoria County Aggies, Chambers County Aggies, Fort Bend County Aggies, Galveston County Aggies, Liberty County Aggies, Waller County Aggies and Walker County Aggies! In short, the Reveille North Houston Organization members, who are comprised of both Texas A&M University graduates and non-TAMU alumni, welcome all professionals to its networking meetings in The Woodlands, Texas. Scott Margraves (whose attorney father Ross did an outstanding job as the President and Chairman of the TAMU System Board of Regents from 1991 to 1994) is an extremely reputable insurance expert who is very fair unlike commercial insurance providers who accept payments and then do everything possible to get out of paying. Dr. Clark has found Scott to be extremely helpful when preparing business plans for construction projects and witnessed his rapidly providing the funds needed to keep a businessman afloat, when a catastrophic event almost sank that well-known Houston retailer. 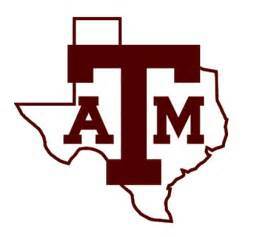 According to https://www.niche.com/colleges/texas-a-and-m-university/, on 7/6/18 Texas A&M University received an overall "A+" ranking. The individual rankings were as follows: Academics (A), Diversity (B+), Athletics (A+), Professors (A+), Dorms (B), Student Life (A+), Value (A+), Campus (A), Party Scene (A), Location (A-), Campus Food (A-) and Safety (B). As for Rice, it also gets an overall A+ ranking, with the individual rankings being as follows: Academics (A+), Diversity (A), Athletics (A), Professors (A+), Dorms (A+), Student Life (A+), Value (A+), Campus (A+), Party Scene (A), Location (A), Campus Food (A+) and Safety (C+). U of H gets an overall ranking of A-, with the individual rankings being as follows: Academics (A-), Diversity (A-), Athletics (A+), Professors (A), Dorms (B-), Student Life (A-), Value (A-), Campus (B+), Party Scene (A-), Location (B+), Campus Food (B+) and Safety (C). Finally, Dr. Clark's doctoral alma mater, Saint Louis University received an overall ranking of A, with the individual rankings being as follows: Academics (A), Diversity (A-), Athletics (B+), Professors (A), Dorms (C+), Student Life (A-), Value (A-), Campus (B), Party Scene (A-), Location (A-), Campus Food (B) and Safety (B-), with it tying TAMU in terms of the all-important academic grade. A MEETING IS PLANNED FOR APRIL 19, 2019. A meeting is planned for April 19, 2019 and will be held at the Luby's Restaurant at 922 Lake Front Circle, Spring, TX 77380. Networkers Arrive between 7:00 - 7:20 AM. Meeting 7:30 - 8:30 AM. Copyright © 2019 Reveille North Houston.